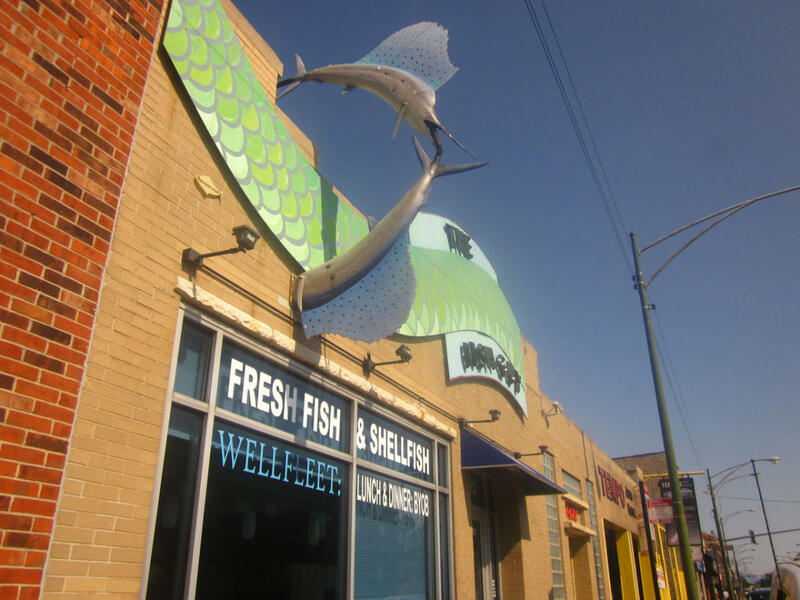 The Fish Guy Market has been featured in Time Out Chicago, Chicago Magazine, the Chicago Tribune and Midwest Living for its wonderful seafood. Our wholesale division Superior Ocean Produce supplies many of Chicago's top chefs. These are cutting edge restaurants that are very selective about featuring fresh seasonal products. This allows us to offer a substantial selection of "day boat fresh" fish and live shellfish daily. Our staff is available to address all your needs. Wellfleet features sit down luncheon at our tables or counter within the Market premises, the hours are 11:30 to 4:30 Monday through Saturday.